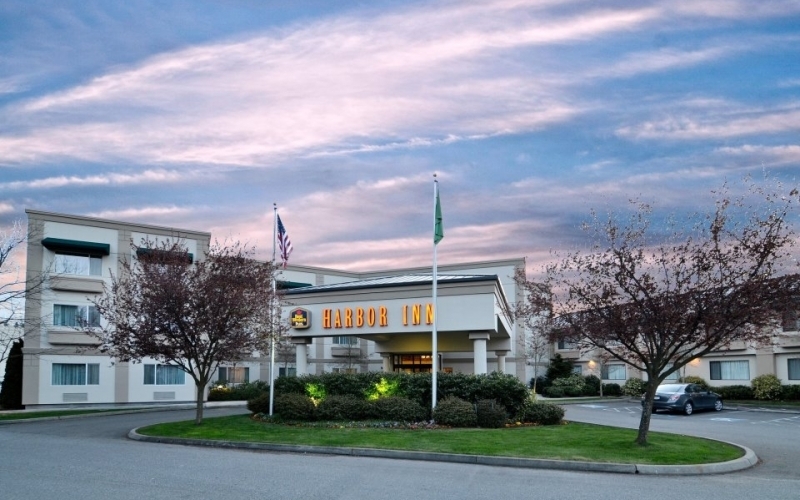 Located next to the waterfront, the Best Western Plus Edmonds Harbor Inn is minutes from Edmonds Ferry Dock and Edmonds Underwater Park. Close to Hazel Miller Plaza and Edmonds Center for the Arts, and the walkable, shoppable historic downtown. Make yourself at home in one of the 91 air-conditioned rooms featuring refrigerators and LCD televisions. Your room comes with a pillowtop bed. Complimentary wireless Internet access keeps you connected, and cable programming is available for your entertainment. Bathrooms have shower/tub combinations and hair dryers. Take advantage of recreational opportunities offered, including a spa tub, a fitness center, and a seasonal outdoor pool. Additional features at this Art Deco inn include complimentary wireless Internet access, concierge services, and a fireplace in the lobby.